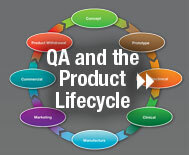 SO YOU WANT TO BE A QA PROFESSIONAL? If you would like to contact an experienced QA professional please contact the RQA office at the following link qaprofession@therqa.com who will be able to put you in contact with an experienced QA professional who will be able to answer any further questions you may have. In the email please state which GxP area you are interested in.